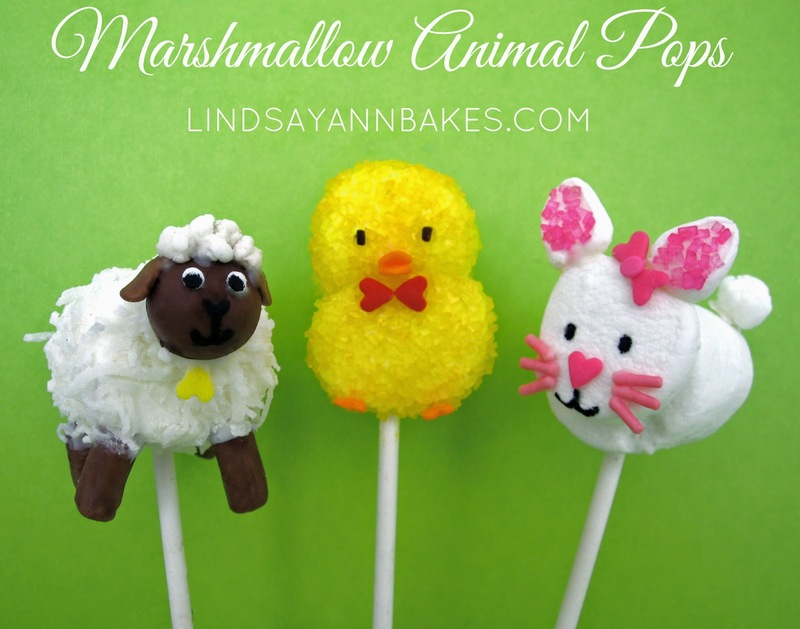 Marshmallow, coconut and chocolate sheep on a stick! What could be sweeter?! Using the heat of your hands, knead tootsie roll until pliable and shape 1 head (ball- you can also use a malted milk ball for the head), 4 legs (log shape), 2 ears (tear drop shape), and a tail. Set aside. 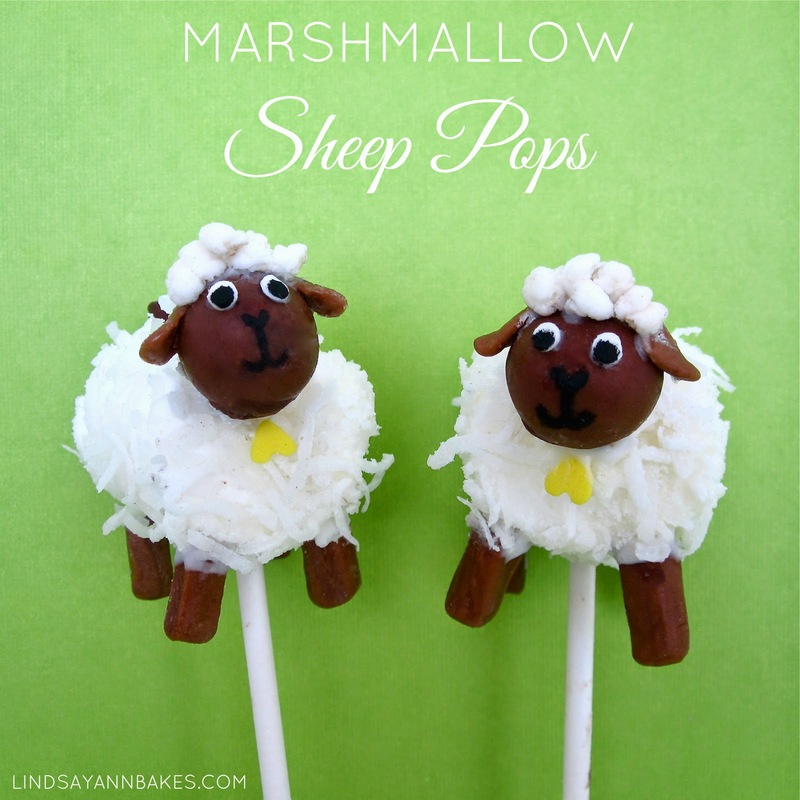 Push the lollipop stick through the rounded side of the marshmallow (make sure not to poke it all the way through). Dip marshmallow in a bowl of melted white chocolate and roll in shredded coconut. Using the melted chocolate as a glue, attach the head, ears, legs and tail. Attach some shredded coconut or ripped up marshmallow to the top of the head, 2 white sequin confetti sprinkles for eyes, and an upside down heart sprinkle directly under the head for a bell (optional). Using your edible marker draw on pupils, a heart for the nose, and a smile for the mouth. You can even skip the sticks and use them as cute little cupcake toppers!